Today I’ll share close up photos of my collection and a painting project that I did with one of them. I modernized them a bit with metallic paint. It really is just as easy as taping off the areas you don’t want to be gold and painting the exposed parts. I did a couple of thin coats and pulled off the tape before the second coat was completely dry. 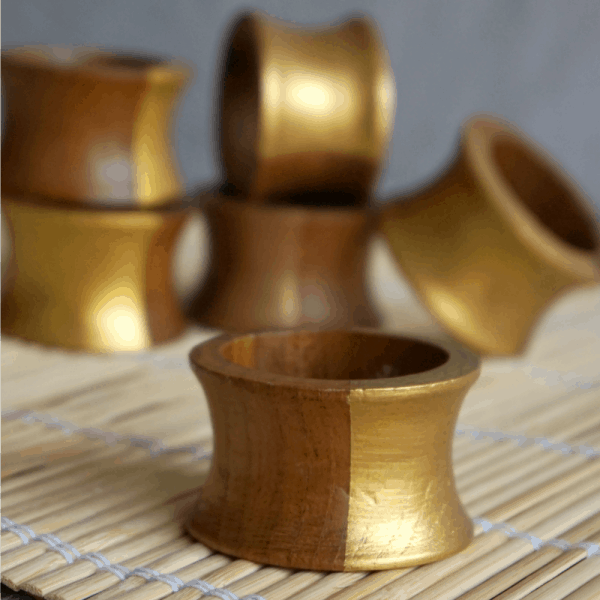 If you’d like to see a video of me painting these napkin rings, I included them HERE in this post about color block wooden bowls. And now for my collection! I found all of these at thrift stores. I don’t think I ever paid more than 50 cents a piece for them. Many times it was 25 cents… or even 10 cents a piece! I was planning to use these when I staged photos for my blog’s food posts. But I’ve ended up not talking much about food… do y’all miss those recipes? Probably not. 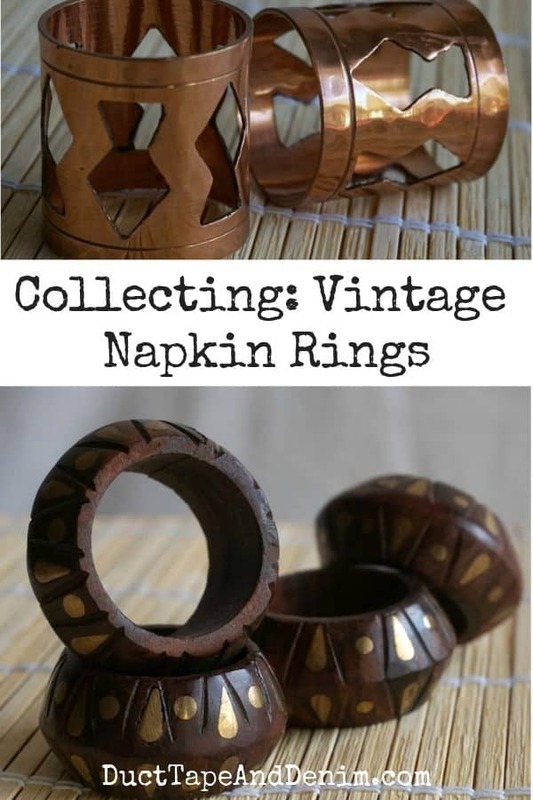 Most of my readers seem much more interested in thrifting and repurposing. 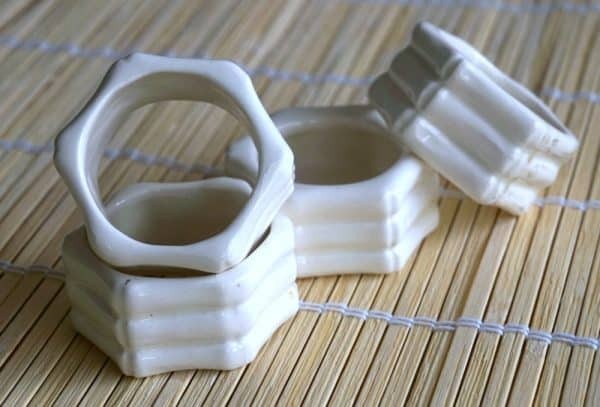 This was an interesting set of vintage napkin rings. 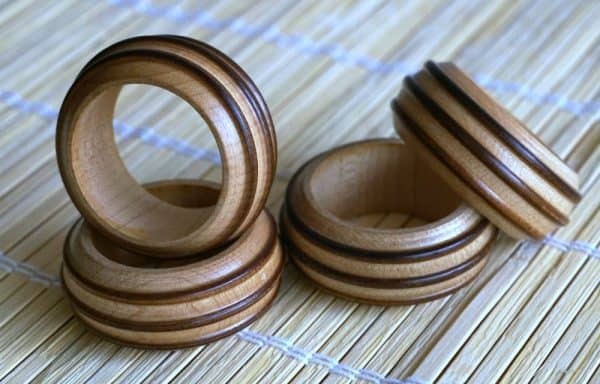 I liked the stripes of light and dark wood stain. The next set is where I got my inspiration for the metallic paint. These were already painted when I bought them. This carving is so detailed! I keep thinking about painting and distressing these but can’t bring myself to paint over this wood! 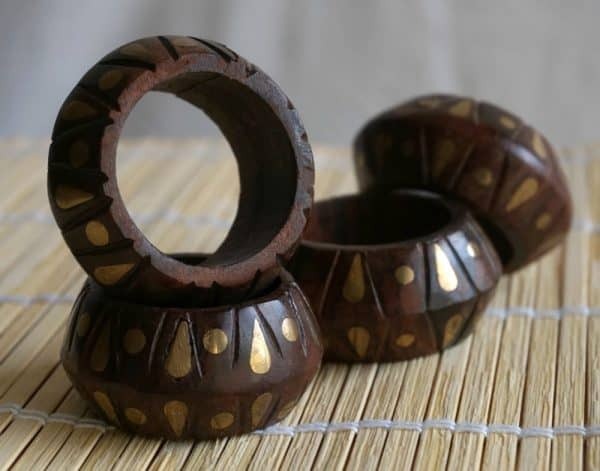 And these were the only ceramic napkin rings I bought. 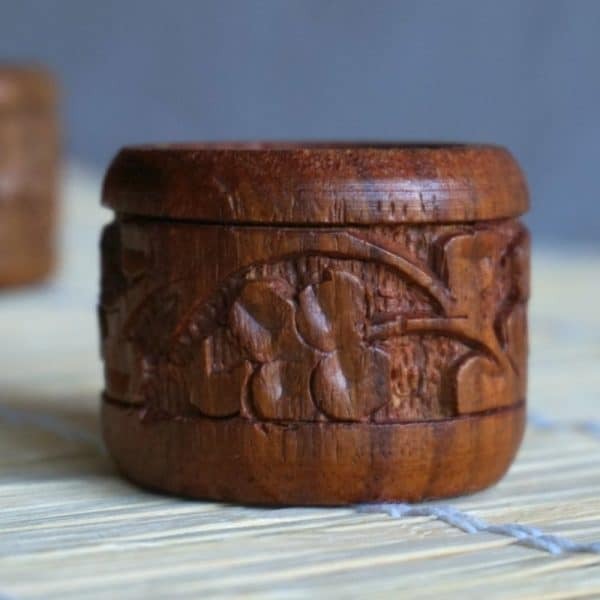 I loved the bamboo look to them. I thought these were a great find! 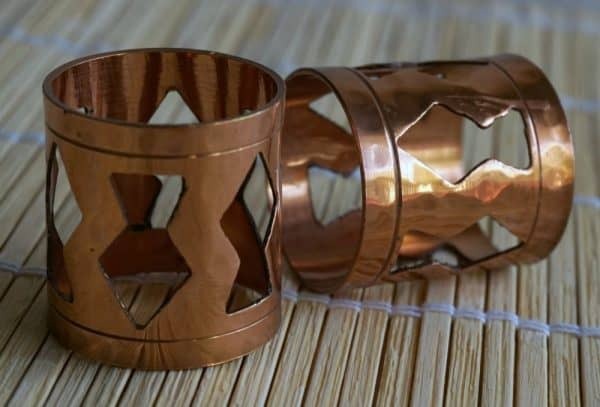 Copper napkin rings can get pricey! 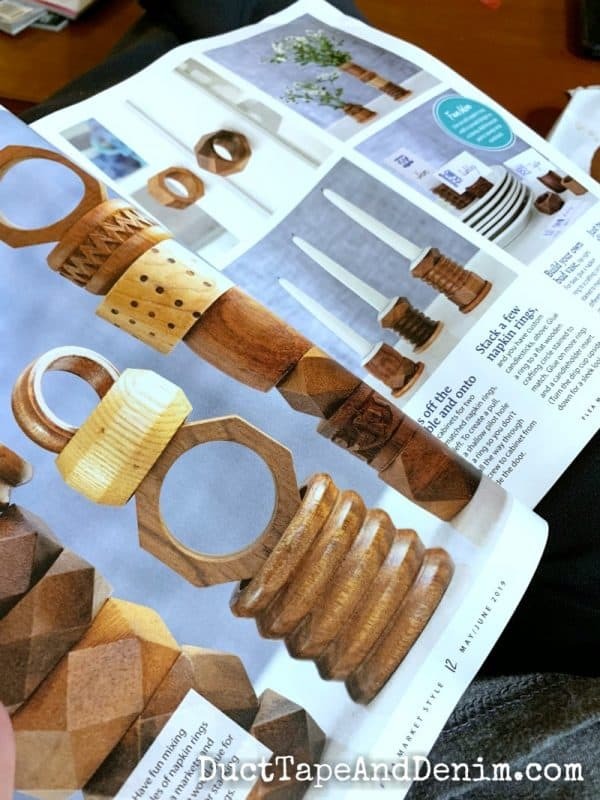 But I did find a couple of super inexpensive ones at Crate and Barrel that have a copper finish… and you can buy them one at a time. The best things I ever found at an antique show. As you can see, I’m planning a few more articles about collecting vintage items. Let me know in the comments if you have any unique collections that you think I should share.